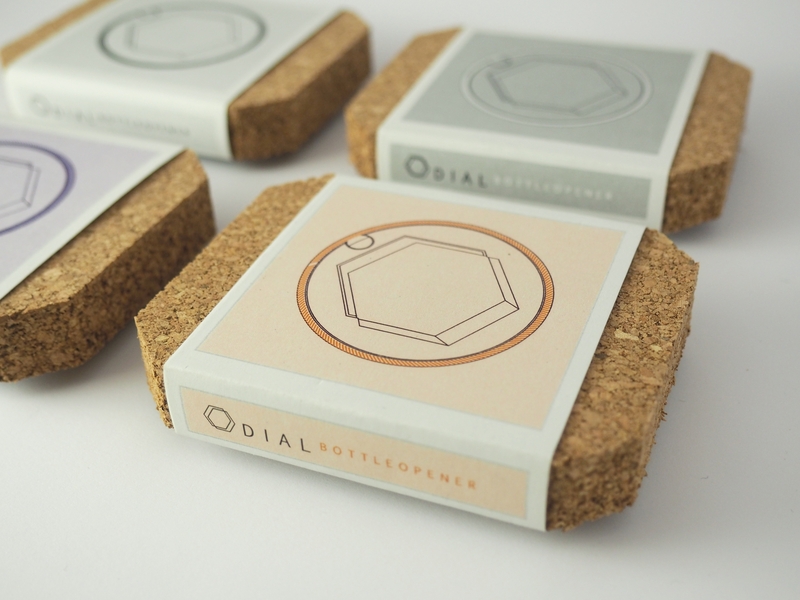 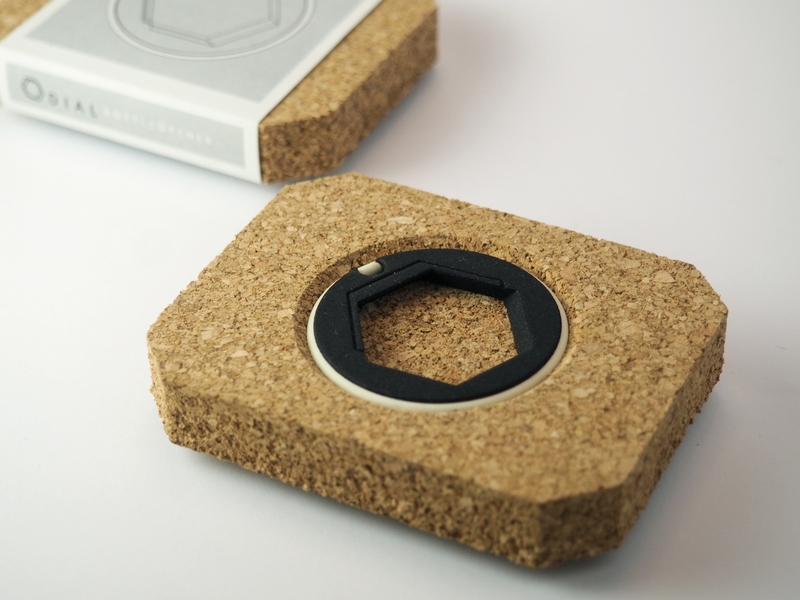 DIAL is a subtle bottle opener to attache to your key-ring. 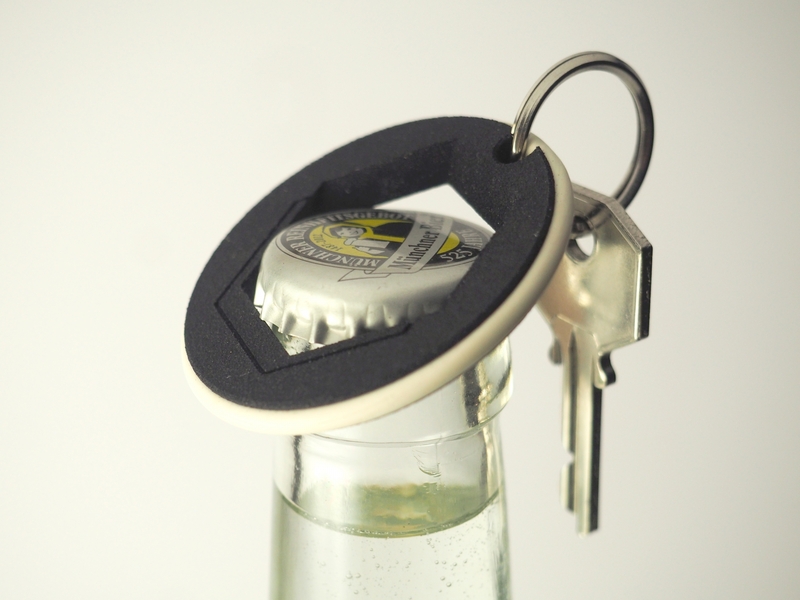 A adaptable rubber ring allows you to detach the inner part for opening bottles. 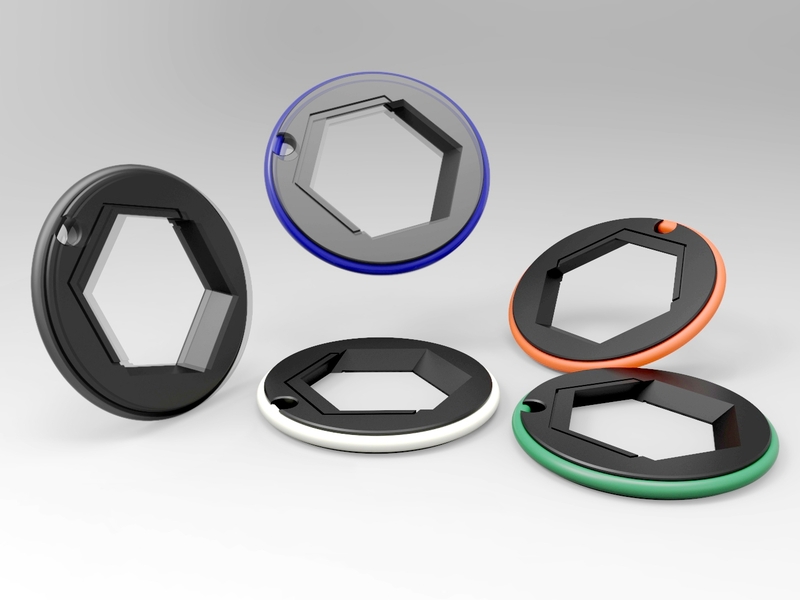 It's abstract shape prevents to identify the function. 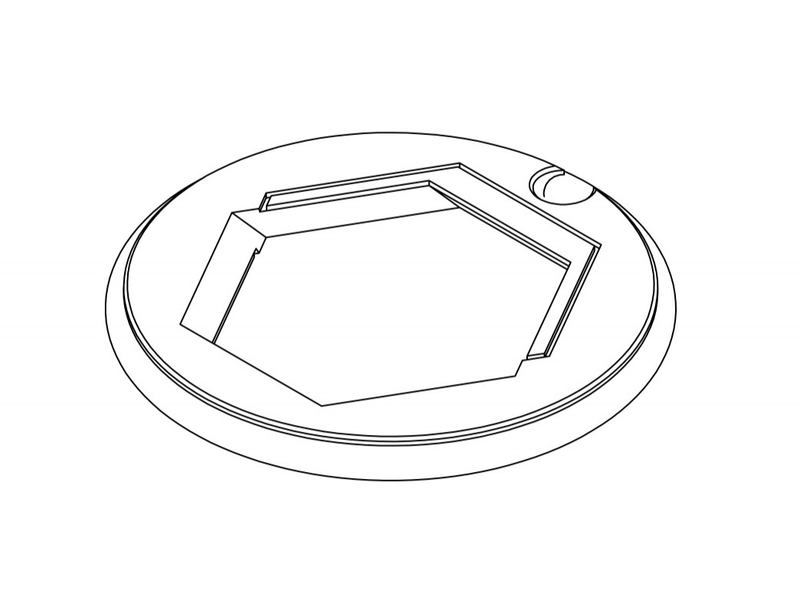 Hexagon in circle.